Centru Sector Police Department have arrested a 17-year-old young man from the Capital for abusing the trust and tricking a minor into handing over a cell phone. PUBLIKA.MD reminds that two months ago, an unknown individual approached a group of children playing in front of an apartment block from Grenoble St., promising to go to the market and purchasing Ice Cream for them all. 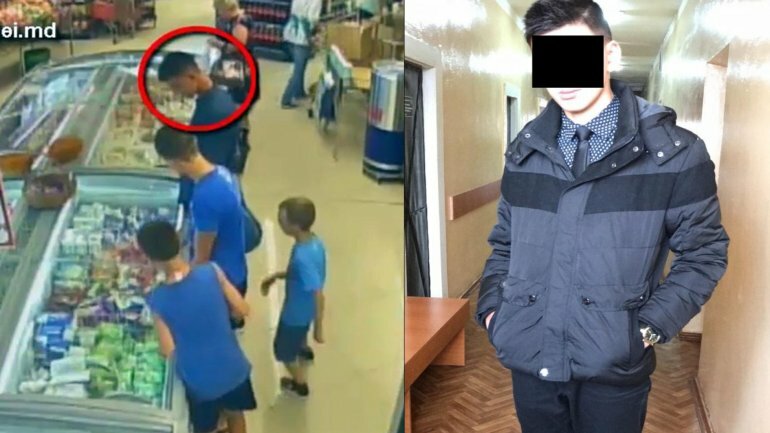 Later, the minors followed him to a supermarket where he kept his promise, but at the exit requested the cell phone of one of the children, the act being caught on surveillance camera, having taken the device and fleeing the site. The police was alerted of this case by the parents, who declared that the "Galaxy J7" phone was worth 6 390 lei. The teenager is suspected of another theft, where he stole the cell phone of an 11-year-old's, worth 8 600 lei. The suspect is investigated for swindling and theft. He risks a fine of 11 000 to 17 000 lei, 180 to 240 hours of unpaid community services, or 2 to 5 years of imprisonment.